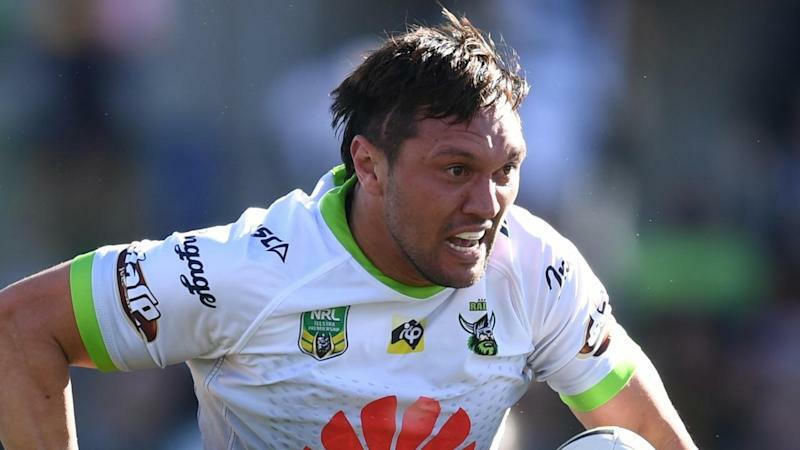 A usually laid back Jordan Rapana's mission to play two months ahead of schedule was initially laughed off by his Canberra teammates. But the star winger ramped up his training to complete a miraculous early return from shoulder surgery for the Raiders' NRL round two match. An initial diagnosis following his injury playing for New Zealand in November had him back playing for the Green Machine mid-season. As recently as two weeks ago, the club's injury reports cautiously had him returning in about round 10. Raiders co-captain Jarrod Croker said the 29-year-old's new-found training work ethic had been amazing to see. "He made a bit of a pact to himself about how he wanted to get back early," Croker told reporters. "He was telling us all in November how he was going to be back towards the start of the season and we all just laughed it off. "But he's worked so hard, done all his rehab ... and to his credit got himself ready to go." Rapana's return is a major boost for the Raiders as they enter their clash with Melbourne on Friday night buoyant following a 21-0 round-one victory against Gold Coast. Raiders co-captain Josh Hodgson says Rapana won't be eased into action through limited minutes. "You can't be playing someone if you think they're only going to be punching in 50 or 60 minutes out, especially on the wing," Hodgson said. "It's probably the hardest I've ever seen him train during his career. "He's not renowned for being the hardest trainer in the world ... but he just knuckled down and did what he was told to in the gym." The Raiders were granted salary cap relief by the NRL because his injury happened during an international game, but opted against using it.